Identafi is an oral examination light used as an adjunct in detecting soft tissue lesions. The hand-held unit is battery operated and produces light in three spectral wavelengths. White Light illuminates the tissue for conventional examination. Violet Light (405 nm) enhances the fluorescence of normal tissue; tissue with loss of fluorescence should be examined further. Green-Amber Light is a narrow band reflectance that can help differentiate between normal and abnormal vasculature. Identafi is intended to enhance the visualization of oral mucosal abnormalities, such as oral cancer or dysplasia that may not be apparent to the naked eye. It can also be used by a surgeon to aid in determining the appropriate margin for surgical excision. 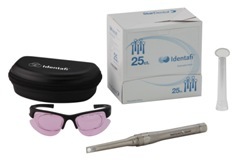 The complete unit includes the Identafi unit, batteries, 100 mirrors and special filtered clinician eyewear. Identafi was used by seven consultants in 90 uses. It received an 87% clinical rating. Identafi is a small, compact light that has the familiar feel of a dental instrument, which encourages its use and makes it more likely to be integrated into the exam routine. In cases where a lesion was apparent with the un-aided eye, Identafi was rated very good for enhancing its visualization. The ability of Identafi to increase the visibility of indistinct or occult lesions varied among users. During the evaluation period, some users did not find any lesions, while others did. The use of an oral cancer screening aid such as Identafi engages the patient in the process and can increase awareness. The light itself is simple to use and functioned trouble-free. 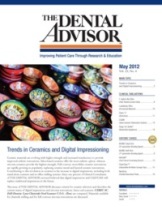 Fifty-seven percent of consultants reported that Identafi was better than their current oral cancer screening method. 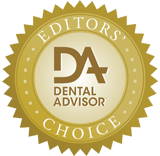 Fifty-seven percent of consultants would switch to and recommend Identafi. Turn room and operator lights off – darken the room to maximize visualization with Identafi.